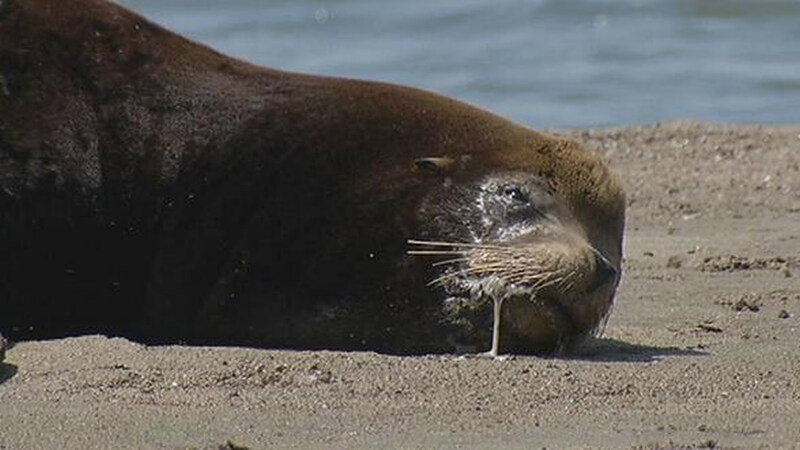 ALAMEDA, Calif. (KGO) -- A sick sea lion named Wilbur that was rescued from Crown Beach in Alameda on Tuesday has died. The 300-pound, 7-foot-long mammal was rescued by a team of volunteers early Tuesday morning. They say he was lethargic at the time and barely moved when a net was put over him. Wilbur passed away at the Marine Mammal Center in Sausalito later in afternoon. He had been out of the ocean for more than 24 hours. A necropsy will be performed tomorrow. 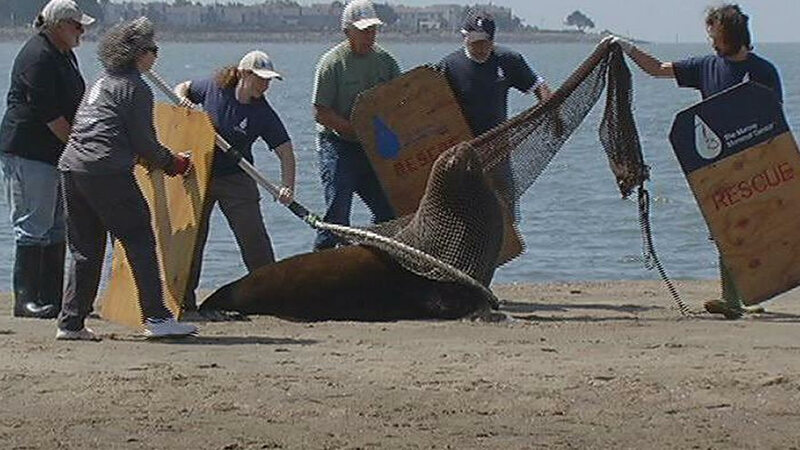 A team from the Marine Mammal Center helped rescue an adult male California sea lion on Crown Beach in Alameda.